TM - T81 - Great value, uncompromising performance! Epson’s constant innovations in retail printing solutions give you the best performing printers to suit your business requirements and budget. 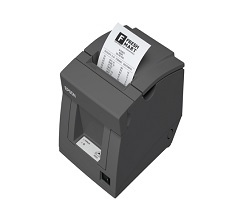 The TM-T81 offers great value with uncompromising performance even in the smallest retail environments!